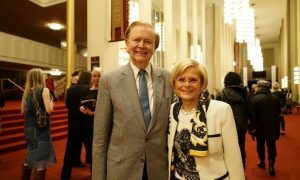 ESCONDIDO, Calif.—Singer Roberta Seno said she saw lovely advertisements for Shen Yun Performing Arts for about three years before she was finally able to attend at the California Center for the Arts on Sunday, Feb. 22. 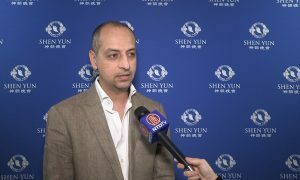 Since its founding in 2006, Shen Yun has been on a mission to revive the true, ancient culture of China, which has a history of 5,000 years. This culture was considered to have been given to the people from the heavens, but it has been nearly lost in the past few decades through communist rule, according to the company website. 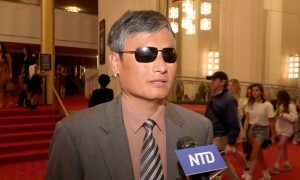 “Entirely non-profit, and independent of the Chinese regime, Shen Yun enjoys the artistic freedom of New York, enabling it to now bring these ancient traditions to the stage,” states the website. 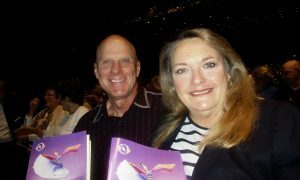 A Shen Yun performance showcases classical Chinese dance, along with story-based and folk dances from Chinese history, a unique East-meets-West live orchestra, fabulous costumes, interactive, projected backdrops, and musical soloists, creating an unforgettable experience. 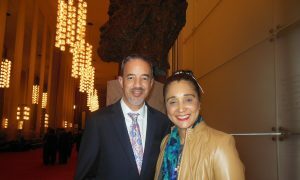 Ms. Seno said she was emotionally touched by the beauty and the grace of Shen Yun’s dancers. As a singer, she was very impressed with the soprano soloists and their lyrics, which were projected onto the background. 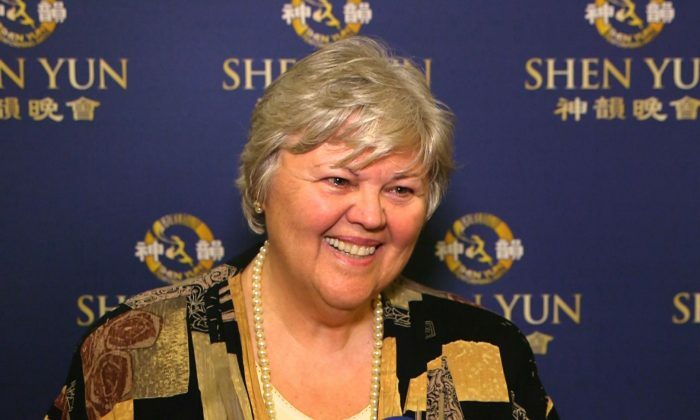 Ms. Seno was grateful to Shen Yun’s performers for sharing their talent “to bring hope for the Chinese people who are in China, who are so captive there,” she said. As tears welled up in her eyes, she said she remembered very vividly the Tiananmen Square massacre and how the students were gunned down. 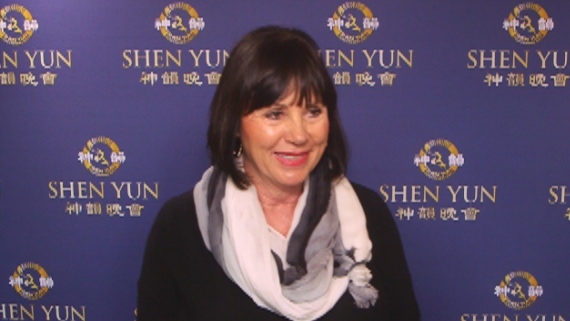 Ms. Seno said anyone who has not seen Shen Yun needs to come and see for themselves. 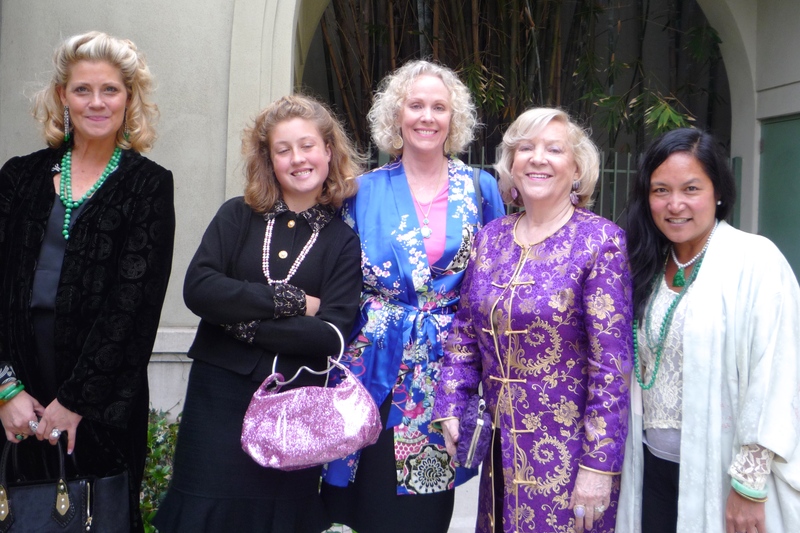 Sandy Carter, a travel consultant and a developer, attended Shen Yun Performing Arts Wed., Feb. 18, then decided to come back on Sunday and bring her mother-in-law. 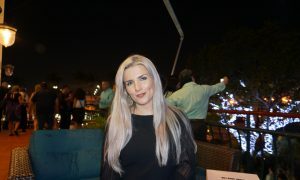 Ms. Carter said she was in China last year, but she didn’t see anything like Shen Yun. She was highly impressed with every part of the performance. Denice Obrero, a city planner for the city of San Clemente, agreed. Ms. Domito also designs jewelry, and she was inspired by all the beautiful colors in Shen Yun. She also loved a Hmong folk dance piece in which the women dancers wore elaborate silver necklaces that jingled as they danced. Ms. Domito and Ms. Obrero highly recommended the performance.